From changing lightbulbs to fixing a kitchen cabinet hinge, How to Fix Absolutely Anything is a collection of the most indispensible advice and tips from people across the world who face the same problems you do. Hundreds of color photographs and easy-to-follow instructions make this book perfect for all levels of experience. It’s a no-brainer for any homeowner, and the one gift to get any friend, family member, or loved one living on their own for the first time. Broke the microwave handle and don’t know what to do? 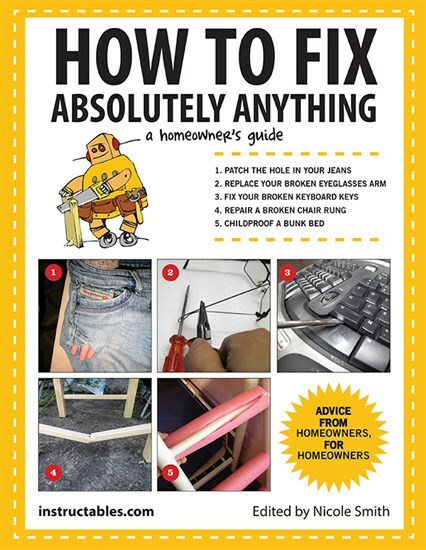 With How to Fix Absolutely Anything, the solution is only a few pages away.